Who is able to understand them, these enigmatic patterns and ornamentations of oriental carpet culture? Only very few of us. 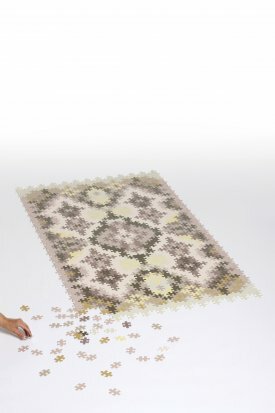 With jigsaw puzzles, it is different. We all understand them simply because there is nothing to understand. The subject or scene is given and the only thing we have to do is to rebuild it from nothing but small pieces. 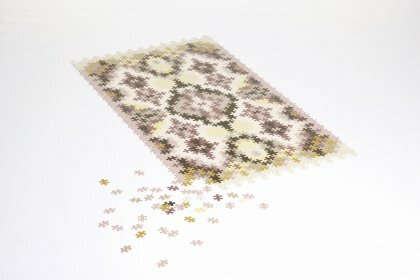 The case of the Jigsaw Persian Carpet, though, is a bit different, because the subject or scene is not given. 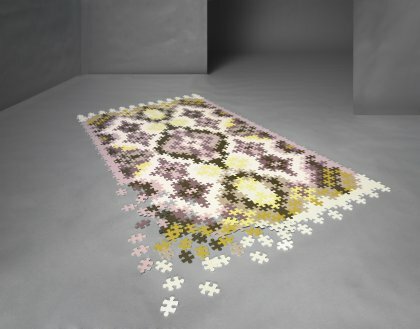 The pattern reminiscent of a classical Persian carpet results only from the cut of identical, but differently colored, hard-rubber pieces and their final combination. It is only crucial to maintain the symmetrical, basic structure, which is focused on a center the puzzle takes care of the rest.